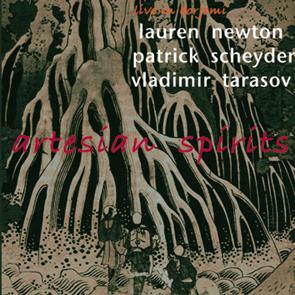 Lauren Newton - voice, Patrick Schheyder -piano, Vladimir Tarasov - drums. All three are regular recording artists for Leo Records. This performance was recorded live in Georgia, one of the former Republics of the Soviet Union, which gained independence in mid-'90s. It would be fair to say that the people of Georgia don't have a chance to listen to improvised music every day, yet judging by their reaction all of them without exception were utterly convinced. Storm of aplause after each piece of music and endless demands of an encore.